Want to know what my Top Favorite Books were that I read in 2018? Well, of the 70 books I read, I picked 4 favorites. These were the four that impacted me the most and are the ones that I will carry lessons from for years to come. By the way, I realized in looking back over the books I read this past year that I didn’t do a good job of tracking all of them that I read… and that this was the first year where I didn’t feel like I had hard time narrowing the list down to only 10 titles. In fact, as I looked over all of the books I read the past few weeks, there were only four titles I knew needed to for sure be on this list. I’m not sure if I only came up with 4 titles because I didn’t track what I read as well as I usually do so I’m forgetting about a few titles that I read (but I feel like if I’m forgetting them, then they likely didn’t deeply impact me, right? ), or because I didn’t read self-help books, or because I read fewer books this past year than I often do, or because I just picked lots of meh titles? At any rate, in 2019, I’m finally switching over to using GoodReads to track my reading. I’ve been really impressed with it so far and am excited about using it to keep a log of what I’m reading, my thoughts on the books, and to see my reading progress. This book is SO good. I slowly savored it — reading just a little bit every day — to make it last as long as I could and to really soak in the truths from it. Here was another quote I loved that really impacted me and here was yet another quote. Suffice it to say, this such a good read and one that I highly, highly recommend! Note: You can listen to the podcast episode the author and I did together here on The Secret to Being a Happier Mom. 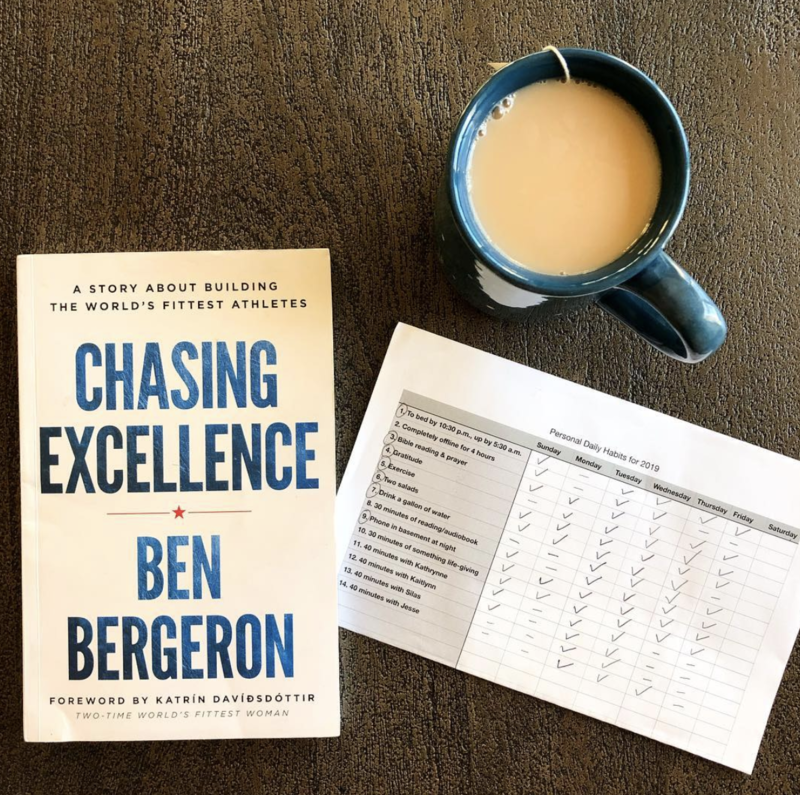 I randomly picked up this book called Chasing Excellence from a search on Amazon. I didn’t even know who Ben Bergeron was when I bought the book. Note: Read more about why I chose the word excellence and how I want to walk it out in my life here. 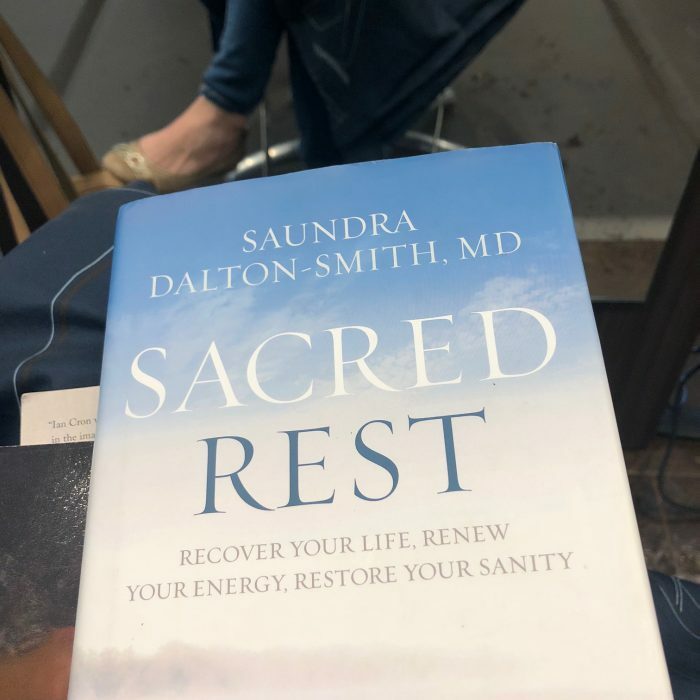 This book is written by a doctor (Dr. Saundra Dalton-Smith) and I thought the author’s medical background shed a lot of wisdom on the topic of rest and how being well rested impacts our lives. However, what really stood out to me in this book was the author’s differentiation between the types of rest we need — physical rest, mental rest, emotional rest, spiritual rest, social rest, sensory rest, and creative rest. I had never heard rest and our need for the different kinds of rest broken into these categories and I found it very insightful. Note: Listen to the podcast episode I did with the author on The Real Reason You’re So Tired. My friend, Melissa, gave me this book and said it had really impacted her life. I hadn’t heard of it before and wasn’t sure what I was going to think of it. Then I started reading… and within a few chapters, I knew it was going to be one of those really life-changing books. The book is all about how our emotional and spiritual health are so tied together and how we often overlook this. The author talks about how often we seem to think that our past and our baggage and all the things we try to pretend don’t exist or stuff down or not deal with won’t affect us in the long run… but it will! There are so many things I gleaned from this book and so many sections that challenged me in deep ways. I feel like I will be processing its message for a long time to come. 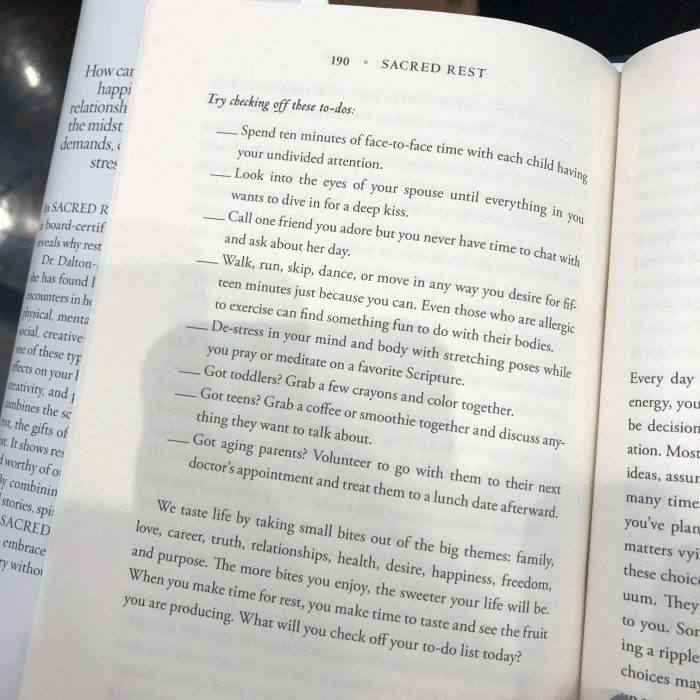 One of the areas in the book that really encouraged me was to recognize how much the changes I’ve made in the last two years to slow down and savor life more. I realize how these changes have truly allowed me to become so much healthier as a person — physically, mentally, and spiritually. In Christ, we are enough. We are loved. We are redeemed. We are forgiven. When we live in light of this truth, we can walk in amazing freedom and confidence — and we can love other people so much more deeply and authentically. I’ll be back in the next week to share my list of 40 books I plan to read in 2019. Stay tuned! What were YOUR favorite books from 2018? Any books you really think I should read in 2019? I’d love to hear! Tell us in the comments! Your Goodreads profile is private :(. I’m with you. I use it to track and review books. I don’t really do much on there socially. But I’d love to be able to follow what you are reading! Can I change it to public or is it the kind of thing where only people who are friends with you can see it? Wait, nevermind! I think I fixed it! Can you check to see if it’s showing up now? Under account settings and then settings you can choose from completely public, Goodreads members, or friends only. Hope that helps! I can see it now! Yay!!! Oh good! I should have thought to check my settings!! What’s the free audio book app with more books than overboard? I keep searching your post because I recall you mentioned it? 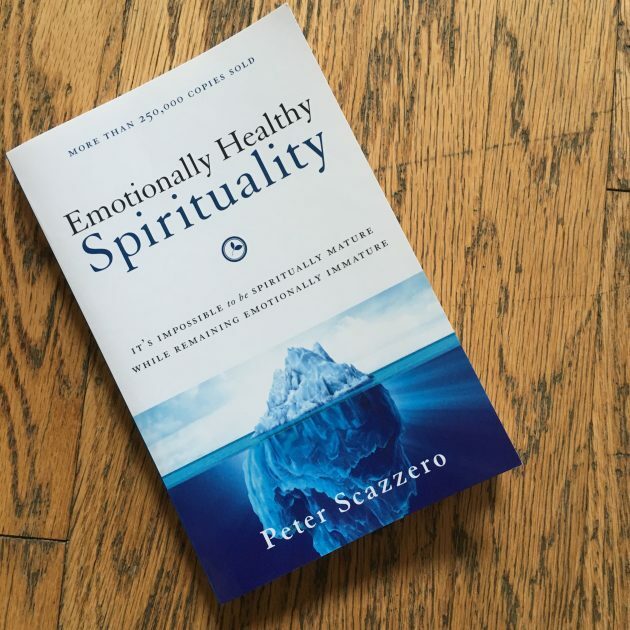 I am a *huge* Pete Scazzero fan (Emotionally Healthy Spirituality). I’d HIGHLY recommend his podcasts if you aren’t already listening to them. He brings such a sense of calm into my world. I tremendously appreciate his insights. OH! I didn’t know he has a podcast! Thanks so much for that tip! Loved this book as well. Our church did a sermon series using this book. It was called Unstuck. It was very freeing. I am so glad you will be using Goodreads! I have enjoyed many of your recommendations from past years. I know I’m late to the game, but I’m finally here! And now I see why people have been trying to get me on GoodReads for so long! My goal this year is to read at least 3 Stephen King novels. Thanks so much for the recommendations! I love good fiction — I just feel like I didn’t read anything that stood out in a big way this year. I HIGHLY recommend “Sensible Shoes” by Sharon Garlough Brown. Its Christian fiction, but so many Biblical truths and Spiritual disciplines tucked in. “Sensible Shoes” is actually book 1 in a 4 part series. It was one of those that I wanted to just keep reading and not out down, but then found I really wanted to just mull over some of it. I read the whole series last year and plan to reread this year but more slowly and really taking the principles to heart. I havent read a book this good in years! I’ve been using Goodreads for a few years now and love it…not only to track my reading and be able to easily reference a book that I want to recommend to someone but also to keep my ongoing “want to read” list. I use to have lists everywhere of books that I wanted to read….on my phone, on amazon, etc. Now I always just add them to goodreads. I’m thinking I might use that Want to Read feature, too!! It looks like it’d be helpful! If you haven’t read The Hundred-Foot Journey by Richard C. Morais, I highly recommend it, especially since you have recently traveled to India! It was one of my favorite books I read this past year. Although I did enjoy the movie that is based on the book, the book is so much better! That is a great book, yes! Secret Daughter is also very much about India and family relationships – on my list of favorites from 2018. It’s so funny you say you didn’t read self-help books because I was just thinking that all four of your books are self-help books. Now I’m curious how you define self-help! All fiction but the Anne Lamott book and the Acts of Kindness book. Enjoyed them all for different reasons! These were mostly in the Inspirational category. I decided to define them as any book that was categorized as self help on the back of the book (all books have a category on the back with their ISBN number) or any book that would put a burden on me to make me feel like I need to DO MORE, be more, etc. Mom Set Free, Emotionally Healthy Spirituality, and Sacred Rest were extremely grace-filled books. 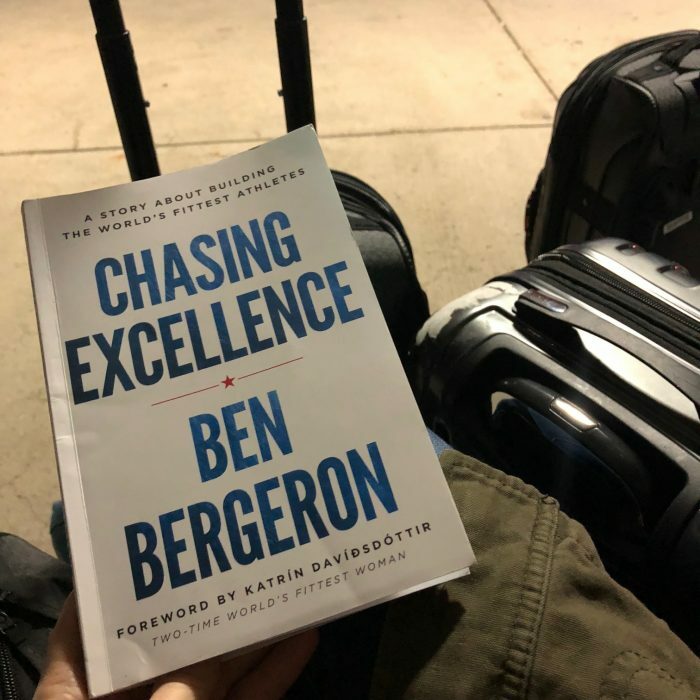 And Chasing Excellence was much more of a story-driven book. That does help clarify, thank you! I look at any book that is specifically to help you grow/develop/solve personal problems, etc. as self-help and haven’t paid attention to formal categorization. That said, your definition of Inspiration absolutely makes sense – the desire to focus more on the being instead of the doing. Glad you found books that inspired and encouraged you without adding to the piles of “must-do” most of us put on ourselves already! I thought this too! All her books are self-help! Thanks for clarifying. I loved Lila by Marilynne Robinson. I have broadened my reading selections by doing reading challenges. There are lots out there but I’m doing one by Modern Mrs. Darcy for the fourth year. She posts 12 categories of books for each year. A couple from this year include “a book from a genre you usually wouldn’t read” and “a book written before you were born.” It had forced me to read books I would have never read otherwise. Last year I completed it in July so I found another challenge and ended up reading 30 books. I really liked Chasing Excellence too! I read 2 what I would call autobiography style books that really got me thinking about forgiveness and love. One was The Waiting –oh WOW what an emotion-filled read, such a life, such a legacy. The other was The Shift, which is about a lady who gives up her six-figure business to serve the homeless of an area of Vancouver. One last book that I would say is in my top 4 for reads in 2019 is Under A Cloudless Sky by Chris Fabry. If you like fiction that touches your heart and makes you think there are several books by Chris Fabry that do just that and Under A Cloudless Sky is certainly one of them. His books are often offered through My Reader Rewards. Sometimes he throws in stuff that seems a little off the storyline but all in all, I love the message of his books and the unexpected twists and turns they take. It is rare for me to find a fiction book that contains an ending I don’t expect–and Chris Fabry novels do that again and again. I was halfway through Everybody Always when my audiobook loan was up on Libby. I hope to finish it this year! It WAS good! Here are the full titles and authors. -Girl, Wash Your Face (Rachel Hollis) – one of my personal favorites, I recommend it to everyone. I LOVED Marie Kondo’s book! Have you read her followup book? I enjoyed that one, too! 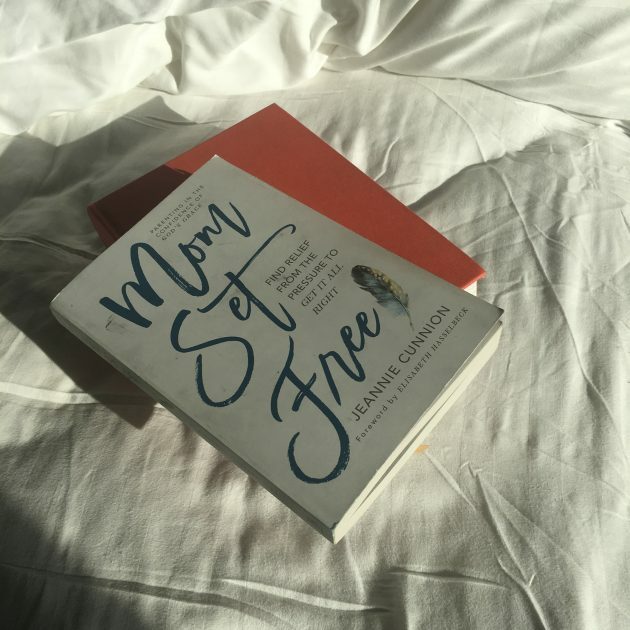 I really want to read Mom Set Free now! It looks so good! People have been telling for YEARS (maybe you were one of them?) that I need to join! I’m finally doing it!! I love most of your book recommendations and they usually go straight onto my want-to-read list (on Goodreads or otherwise, haha). – Passport through darkness by Kimberly L. Smith *a hard read, but worth it! – Eternity in their hearts by Don Richardson *an oldie, but so so fascinating! Also, I’m not sure if your kids might be interested, Sweep by Jonathan Auxier is a YA novel that is being highly recommended by Sarah Mackenzie of Read Aloud Revival. I LOVED The Worn Out Woman. It’s been awhile since I’ve read it. Thank you for the reminder of that book — and thank you so much for all of these other great recommendations! I read the biography The Lady of Arlington last year. So good. I knew nothing about Robert E. Lee let along his wife, Mary. She was one strong lady. LOVED Reading the Bible with Rabbi Jesus and Misreading Scripture with Western Eyes. They were both eye opening – learned so much about the Bible. Different by Sally Clarkson was encouraging. Also enjoyed her book Own Your Life. I read a few marriage books – Marriage by Paul David Tripp was my fav. Just Mercy was a good/hard read. I really enjoyed most of the books I read this year. I went back at re-read some children’s literature I enjoyed as a kid and that was a lot of fun. I think they were better than I remembered! Thank you so much for sharing these books! (he lives in Nashville and is a motivational speaker also. He grew up in the foster care system…defiantly insightful and worth the read). Sooooooo excited to have you on goodreads! I always am adding books from what you have read to my ‘to read list’. I couldn’t see what books your planning on reading though…have you added anything? Yes, I have added some. Were you checking on the app? It wasn’t showing anything but then I logged out and logged back in and it’s showing up for me now! This book is so practical and lays out real-life examples from real families who applied principles taught in this book. 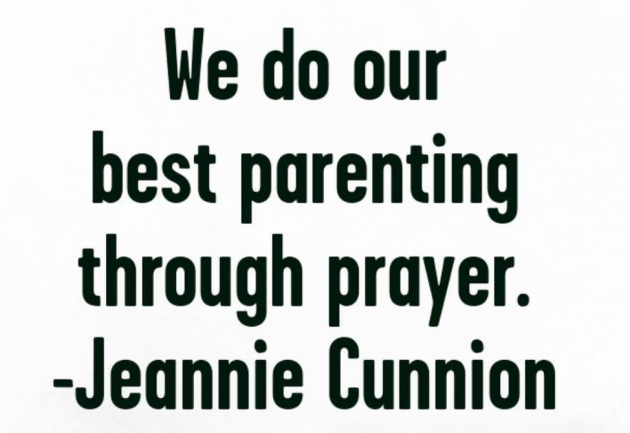 I’ve already seen it positively change my parenting and my children’s responses to me!!! I feel like I’m winning the hearts of my children without wanting to bash my head against a wall. When I was real and raw with a friend about my insecurities of motherhood and the current struggles, she asked if I had read this. I’m not done reading it, but it has already been a game-changer in our family!! !